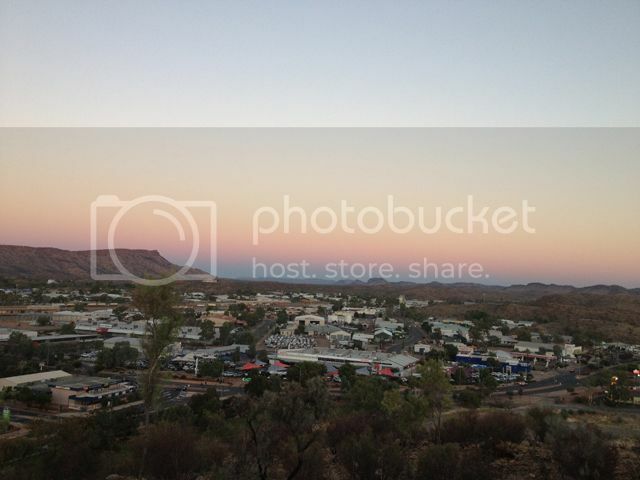 Mt Gillen on the left, as seen from ANZAC Hill at sunset. I've started doing the ANZAC Hill climb a few times a week & this coming Saturday morning I'll be tackling Mt Gillen, wish me luck! This past week I finished round two of the 12 Week Body Transformation (12WBT). Yep, I it has taken more than one round for the lessons of the 12WBT to sink in! This round I learnt so much more than last round. This round I focused on eating healthy, within the 1200 calorie limit - something I may have let slip a little in the first round. I made sure I ate healthy snacks between each major meal, giving me enough energy to exercise in the afternoon. This is so key for me, as I get full quickly at lunch time, but then am hungry late afternoon. Before this I was starving my body until dinner and then eating too much at dinner. My poor body then hoarded the food unsure what the next meal would bring. Eating more regularly stimulates my metabolism, kicking the weight loss into gear. I upped the exercise, exercising 6 days a week, but probably not as hard as I should have. I sprained my ankle in week 5 and then hurt my back in week 7, so I've had a few major hurdles that have slowed down my exercise program. I also just cannot seem to break the 300 calorie burn in 1 hour. I'm within 500g (1 pound) of my goal weight, which I am pretty happy about, but I am going to sign up again for this next round*. I love the food program (having someone else tell me what to cook makes it much easier) and I really want to start following the set exercise program more carefully. Strong and lean here I come. I'll be posting more this coming round about my exercise, so stay tuned. *UPDATE: Unfortunately Lulu's health problems prevented me from signing up again, but the mindset lessons have held me in good stead ever since.